Mobile Marketing in Canada is different than in other countries, specifically using sms as your #1 tool. In Canada there are very strict laws that are put in place to protect the integreity of mobile marketing/sms marketing in Canada. Countries like India and United Arab Emrites have taught the CWTA how to properly engage with endusers through their mobile devices. 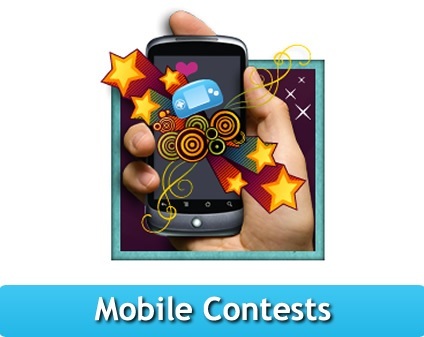 With that said, running a Canada SMS Contest (text contest canada), there are a few things you need to know. Firstly, you need to ask your content provider if their short code is enable for running text contest canada. Reason being is that short codes are enable for either being a “one off” or a “subscription” type program. Typically when a company runs a sms text contest, it is one off. This means that when the user interacts with the call-to-action by texting the keyword to the short code, they will receive a confirmation message thanking them for their participation. In turn, whoever is running the text contest canada is not allowed to send any future text messages to the numbers that they collect because their sms contest was bring run on a one-off short code. By CWTA guidelines you need to legally tell the end user who is participating in your campaigns (sms contest, sms trivia, sms survey) that they will receive future text messages in regards to the product or service that they offer. If the company does not mention this in the text message then no future text messages can be sent to a user. Secondly, if you want to run a text contest canada which will turn into a subscription (send messages to users after contest finishes), you need to run on a “subscription” short code that enables a double opt-in feature. Most sms providers offer a single opt-in feature so it is important to find a provider that has both features. With the double opt-in feature you will be telling the end user about the contest, however, you will add the option for them to continue receiving messages from your company after the contest ends. The end user will just have to reply with a “YES” to opt-in the campaign, hence the double optin. As you can see running a canada sms contest (text contest canada) if very technical and you need to be sure you are following the laws in Canada in regards to CEM’s (cusomter electronic messages). With the new CASL legislation coming out, CEM campaigns that are not compliant will be cracked down on. To ensure that you are following the rules and guidelines of mobile marketing contact your provider and ask all the necessary questions.